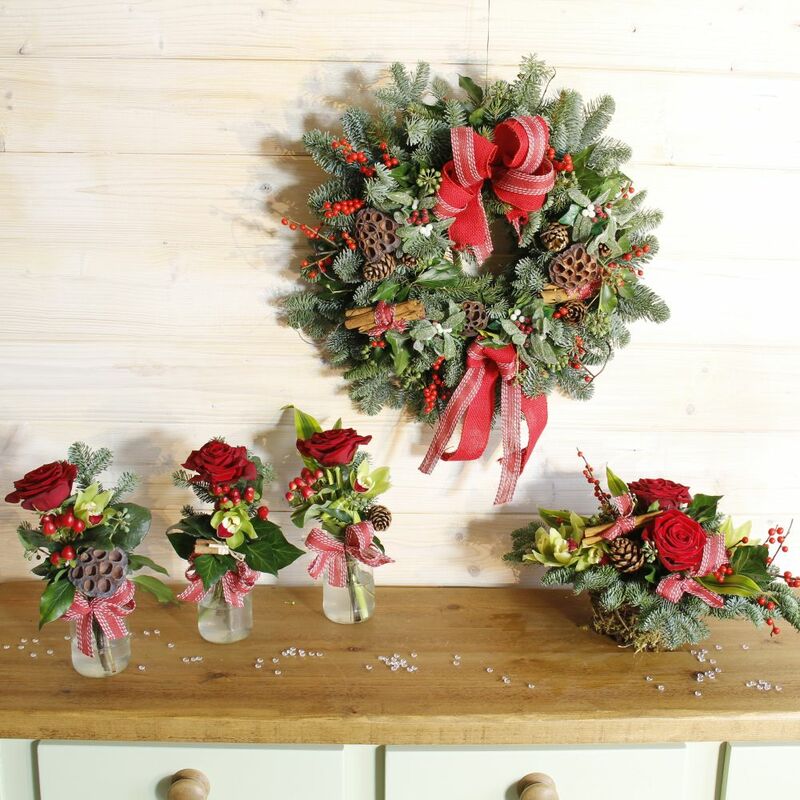 This year Longacres Bagshot will be holding floristry workshops to show you how to create the perfect Christmas spruce door wreaths, festive table arrangements, jam jar arrangements and cinnamon gifts! We will be holding these workshops between 8th November and the 8th December, with courses being held in both morning and afternoons. These workshops are designed to allow you to use your imagination, creativity and learn new skills. All workshops are suitable for novice flower arrangers or professionals alike who want to get inspired on how to decorate their homes for the festive season. All our workshops last two hours and include refreshments, with attendees taking home their very own stunning creations!